John has also hosted hospitality events including entertainment from Elvis impersonators to the Rat Pack. Lynn has 15 years of experience in corporate entertaining and particularly organising fun casinos. Her expertise is in organising events such as weddings, charity and corporate events. John and Lynn are a local couple having moved to Potters Bar four years ago from Barnet, where they lived for 25 years. They have a daughter and two sons – Megan, Edward and Adam. Both sons played football for Potters Bar United from the age of six. Through their sons’ involvement John and Lynn have been long-term members of the Old Owen’s Association and are familiar with the Sports Ground in Coopers Lane and many of the club’s members. 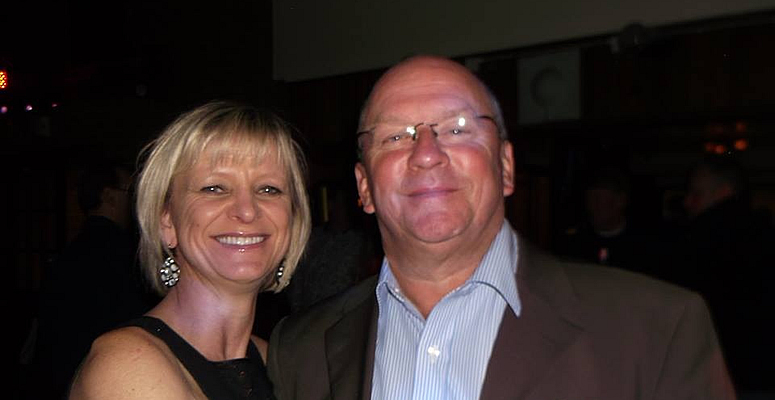 John and Lynn have already implemented a series of themed evenings and events during their tenancy, encouraging members to maximise use of their Clubhouse – either for their teams, their friends and families. “We are very excited to have the opportunity to put into place the plans we have for the Sports Ground.” John said. “We’d like to reach out to all Old Owens members located near and far from the Clubhouse through sporting and social events to ensure all feel they are welcome and can use the facilities. We’re also more than aware how heavily the Clubhouse is used by affiliated clubs and their members, along with being available to the general public for weddings, birthdays, other celebrations and general get-togethers. The Clubhouse is also available for meetings and is currently being used by Potters Bar Round Table, The ‘41’ Club and Potters Bar ‘Rotary Club’. Anyone who is interested in hiring the Hall should contact John/Lynn on 01707 644 211 at Old Owen’s Association and Sports Club Limited or email jlcowens@gmail.com.